Anders Swanson is a multi-disciplinary designer and policy expert with a history of volunteer work that has left a significant impact on his home of Winnipeg and around the world. He manages walking/cycling/universal design projects out of an independent consultancy. He specializes in non-profit work, community engagement, innovative technology, children’s mobility and winter. He was awarded the Manitoba Eco-Network individual achievement award and is a recipient of the Queen’s Diamond Jubilee medal. Anders is currently project lead for BikeWalkRoll, CounterPoint and Plain Bicycle. He is secretary of the international Winter Cycling Federation, founding board member of The WRENCH and coordinator of the Winnipeg Trails Association. Michael’s sport, his pastime, his community and his career (General Manager at Gears Bike Shop) all centre around the bicycle. Having been involved in and around cycling for well over 3 decades (from being a racer, commuter and someone who identifies themselves as a cyclist), he’s seen a great deal of change in how the bicycle can be a catalyst for change. It’s simply the best way to get around. He’s taken his passion for cycling from a pastime, into something that impacts all aspects of his life. 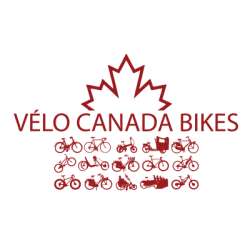 Michael hopes to use his experience within the cycling industry and extended cycling community to help Vélo Canada Bikes deliver its mandate. He’s excited about the mission put forth by this group and its desire to create a national cycling strategy in Canada. The time is right to help create a singular voice for all Canadians who cycle. We also need to develop a better program of education for all users of the road based on safety, health, the environment, infrastructure and respect for each other. A retired French Immersion teacher with a new occupation of cycling advocate, Fiona came to purposeful cycling at the age of 60, when she bought an electric-assist bike to help her mount the hills on the North Shore of the Burrard Inlet. Along with a booming North Shore cycling community of retired folk, she encourages baby boomer to cycle and wishes to represent that important demographic at all levels of government. Fiona is also on the boards of HUB Your Cycling Connection and the BC Cycling Coalition. She is extensively trained in emergency support services (ESS) and volunteers with North Shore Emergency Management, where she is working on developing an emergency bike team for NSEM. She volunteers with the North Vancouver RCMP Community Policing and is chair of her neighbourhood residents association. But her passion — when she’s at home — is her backyard vegetable garden, fermenting foods and living green. Based at the SFU Centre for Dialogue, Keane works on the international Renewable Cities program. His primary interest is transportation. He’s a strong voice for human-centred cities, multimodal transportation, and shared mobility. Through his communications work, He is striving to enable a renewable, energy-powered future. His work has appeared in outlets such as the Vancouver Sun, Spacing Magazine and The Guardian. At the Centre, he regularly support events, including by convening solutions-focused workshops, panels and conferences. Previous stops include the Victoria Car Share Co-operative and UN Environment. He holds an M.Sc. from the University of East Anglia.including a wide mobility pathway and flood barrier, was honoured with the 2016 Green Talents Award from the German Federal Ministry of Education and Research. Kimberley is the former president as well as communications task force and events and promotions lead of Bike Calgary. She is a founding member of Calgarians for Transportation Choice, Vision Zero Calgary, and Bicycle Belles YYC. Kimberley is actively involved with Alberta Bikes, Arusha Open Streets Calgary, Safer Calgary, City of Calgary Active and Safe School Travel, Bicycles for Humanity Calgary Chapter and the Alberta Bike Swap. She is a CAN-Bike II Certified Instructor. Richard has 25 years of leadership in active transportation planning, promotion and education. He is a founder of Canada Bikes, HUB Cycling and Better Environmentally Sound Transportation (BEST) and has lead initiatives including Velo-city Global 2012, Bike Month, BEST valet bicycle parking, the Central Valley Greenway, and the Canada Line Bridge bike path. He is currently Executive Director of the BC Cycling Coalition. Sara is a Professor of Health Promotion in the School of Health and Human Performance and Scientific Director of the Healthy Populations Institute, at Dalhousie University in Halifax, Nova Scotia. Originally from the UK, Sara moved to Canada with her family in 2007 to take up a Canada Research Chair, with a program of research that focuses on creating supportive environments for chronic disease prevention. Her research focuses on understanding the factors that help or hinder health in our communities, with a focus on scalable solutions to support healthy eating and active living. Sara is passionate about creating healthy and sustainable communities, and practices what she preaches by walking and cycling as often as possible. She is a member of the Halifax Cycling Coalition and CarShare Atlantic. Kate Walker is a registered physiotherapist and works at the University of Ottawa Heart Institute. She is also pursuing her PhD in Population Health at the University of Ottawa and is interested in the health and environmental benefits related to active transportation and the need to build active transportation infrastructure and design supportive policy to facilitate health at a population level. Kate became a board member of Vélo Canada Bikes in 2016 and chaired the organizing committees for the 1st and 2nd National Bike Summits which brought together Members of Parliament, Senators, ambassadors, mayors, city councillors, cycling advocates and public and private sector organizations to discuss how the federal government can help build a bike-friendly Canada. It is Kate’s dream to live in a Canada where every person, regardless of age or ability, can safely use a bicycle for daily transportation. Yvonne has been working on urban cycling and public space initiatives in Toronto since 2004, is the author of The Urban Cycling Survival Guide, an event photographer, and Executive Director of the Forest Hill Village Business Improvement Area. She was the founding Executive Director of Toronto Cyclists Union (now Cycle Toronto), and cares deeply about the meaningful integration of bicycles into all aspects of city planning and transportation. Yvonne sits on the Metcalf Foundation’s Cycle City Advisory Committee, is a member of the board of The Laneway Project, Secretary of the Kensington Market Action Committee, ‘Car-taker’ of the Kensington Market Garden Car public art installation, and is a year-round city cyclist. Ingrid has a passion for city bike riding and would like to see all Canadians have access to safe commuter biking that meets the needs of all ages and all abilities. She is a Board member of Saskatoon Cycles, https://saskatooncycles.org/ involved with advocacy, governance and fundraising. She enjoys meeting other cyclists when she volunteers at the Saskatoon Cycles Bike Valet. Over the past six years she has helped organize Saskatoon Cycles members meetings, speakers and special events to help spread knowledge about best practices in active transportation. She has also served on the City of Saskatoon Cycling Advisory Group. Ingrid works in a primary health care clinic. She has a professional background in communications, member relations, and co-operatives. She is pleased to contribute her time and energy to making Canada an even better place to ride a bike. She hopes that someday Canada will have a national cycling strategy so that more Canadians have access to this healthy and ecologically friendly mode of transportation. Follow Ingrid on Twitter https://twitter.com/Ingridlarson. Wayne is a retired CPA-CGA who worked as a federal HST auditor during his professional working years. Currently, he is part owner of a small business serving as Sec-Treas and also working a few hours a week overseeing the financial affairs of the business. Wayne serves as the Advocacy Chair on Velo NB and is part of an advocacy committee of cyclists that have held at least four meetings with the provincial government to review and propose updated cycling laws and regulations. He believes in a positive approach that engages government and educates both elected members, cabinet ministers, and senior civil servants on the benefits of a national cycling strategy that changes the way Canadians think about transportation. Darnel is a community advocate who enjoys animating spaces and leading innovative sustainability mobility projects. His Master’s Major Project, Breaking Down the Barriers to Biking in the Black Creek Area, created a community action plan for practical suburban biking, and led to Toronto City Council approving a Community Bike Center near York University. Darnel’s sustainability efforts to create a Rapid Transit Greenway along Finch, including a wide mobility pathway and flood barrier, was honoured with the 2016 Green Talents Award from the German Federal Ministry of Education and Research. Building community is a primary goal for Tegan Moss. As the Executive Director of B!KE: The Peterborough Community Cycling Hub, Moss has directly increased community access to the tools and knowledge necessary for sustainable cycling. B!KE’s capacity for cycling education has more than doubled in Moss’ time with the organization and many new programs with community wide reach have been initiated under her direction. Through collaboration Moss has been able to leverage community resources in the launch of in-school cycling programing, community bicycle repair and riding workshops, and Earn-A-Bike programs for youth and adults. Moss brings vision and dedication to her work at B!KE; her efforts are helping to shape the landscape of cycling in Peterborough. Dea van Lierop is an Assistant Professor in Human Geography and Spatial Planning, at Utrecht University in the Netherlands. She cares deeply about making cities more sustainable and inclusive places to live, and is committed to improving the transportation experiences of all transit users, cyclists, and pedestrians, regardless of their age, income or mobility needs. She completed her PhD at McGill University in Urban Planning where she focused her research on travel satisfaction in public transit and cycling. Dea has worked with communities across Canada and in the Netherlands on topics such as bicycle theft prevention, cycling education for children, Transit-Oriented Development (TOD) planning, transit service planning and paratransit. She has enjoyed riding her bike in the many cities that she’s lived in, including Vancouver, Victoria, Montreal, Amsterdam, and Utrecht. She is able to fulfill her passion for transportation planning, research and teaching every day at her job at Utrecht University, where she is dedicated to improving the social, environmental, and economic sustainability of urban regions through the implementation of mobility improvement schemes. Judi is the new Executive Director of Canada Bikes. Judi is a long time advocate for responsible environmental choices and has worked in the nonprofit sector for over 20 years, including EnviroCentre, a leading active transportation organisation in Ottawa. She is also a former small business owner who ran Ottawa’s first eco-café, caterer and cooking school for 6 years. Judi has worked for many national organisations, specialising in vulnerable populations as well as health care and transportation. She has lived overseas with her family in several high cycling nations including Vietnam and Hungary. She is active in her community on food insecurity issues, as a co-founder of the Deep Roots Food Hub. Judi considers herself a cautious every day bike user. She is based in Ottawa, where she lives with her husband, 3 children, a dog, a cat and 9 hens. If you would like to attend a board meeting as a guest, please contact the Secretary via email. Great work Everyone. Keep up the initiative as we need more of this for a greener future.